Fresh granola, yogurt and fruits. Actually, it’s no rocket science to mix those ingredients all together. 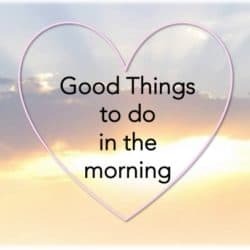 Nevertheless, the preparation can be quite time consuming, especially in the morning when every minute is precious. This is why it’s all about the right planning in advance: overnight oats are a great possibility to safe some time. One easy recipe is the Berry-Muesli To Go. First things first, mix some fresh berries and one tsp. of lemon juice in a bowl. 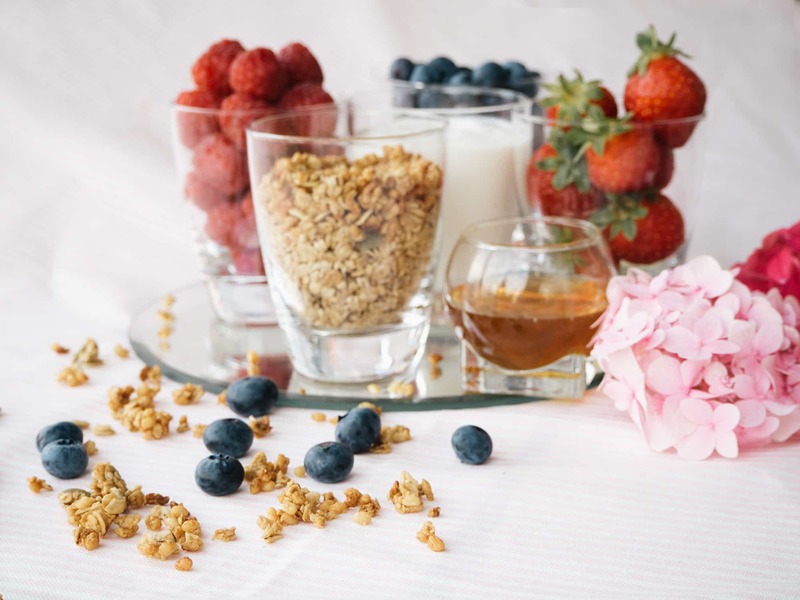 Then, fill up a glass with layers of yogurt, granola, honey and berries. Afterwards, close the glass airtight and leave it in the fridge overnight – enjoy it in the morning. Well, the level excitement about your muesli can even be increased if you just make the granola yourself. It’s super easy plus you can add in all the ingredients you really like. So as soon as you have about 20 minutes of spare time – probably the ones you safe with the overnight muesli – let’s give it a try. 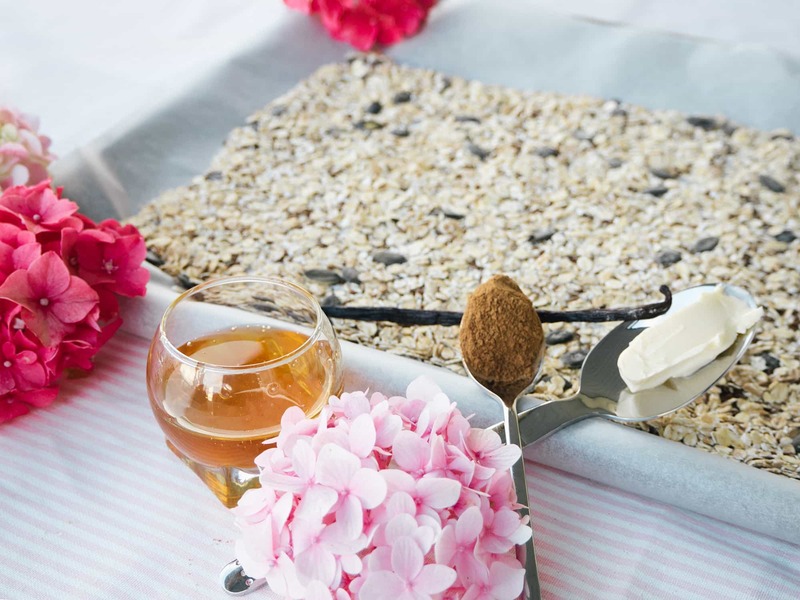 All you need is a big baking plate on which you spread the mixture of oats and seeds of your choice. Mix it with two tbsp. of butter and one tsp. of cinnamon. To sweeten up the granola, add in some honey and vanilla. Ultimately, roast the granola in the oven for 15-20 minutes while stirring it three times. Depending on the taste, you can even pimp up your final granola with some goji berries, coconut seeds or cacao nibs. 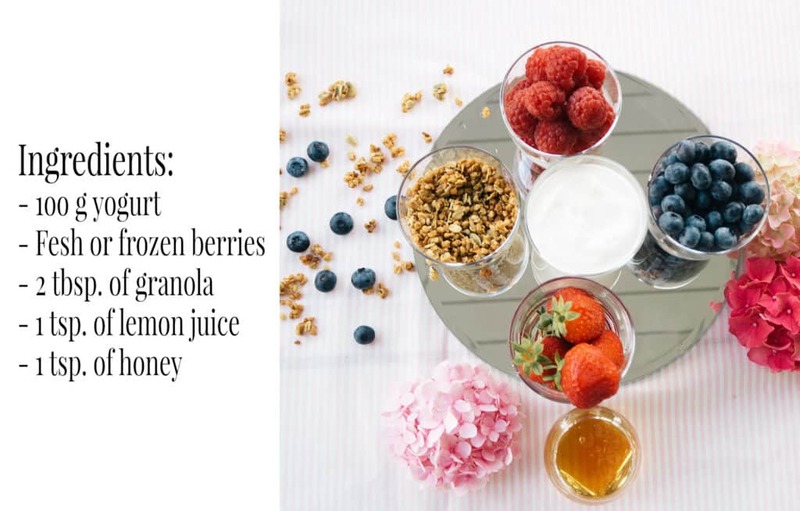 Just get creative and have yourself a very perfect muesli moment everyday. 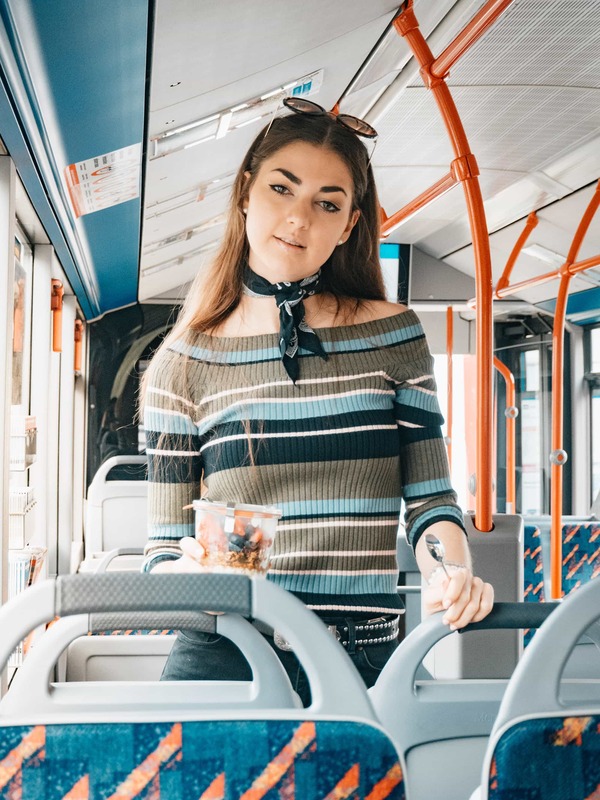 Posted in Fashion & Outfits, Healthy & Stuff and tagged Breakfast, Fashion, Food, Granola, Healthy, Inspiration, Lifestyle, Muesli, Recipe, Style, Way of Life. Bookmark the permalink. This is one of my favourite breakfast snacks in the summer time. Looks so delicious!! Cute look. I loveeee your sunglasses! Looks delicious and healthy ! Lovely pictures ! Your breakfast seems so delicious ! This looks suuuuper delish babe! Ohhhhh, das sieht ja einfach zu lecker aus! ich liebe Müsli in allen Variationen! Die Fotos sind übrigens mal wieder total genial! Das Müsli sieht wirklich seeehr lecker aus! Und die Bilder sind wie immer ganz zauberhaft geworden. Obwohl ich eher nicht der Müslityp bin, lassen mir Deine Bilder das Wasser im Mund zusammenlaufen. 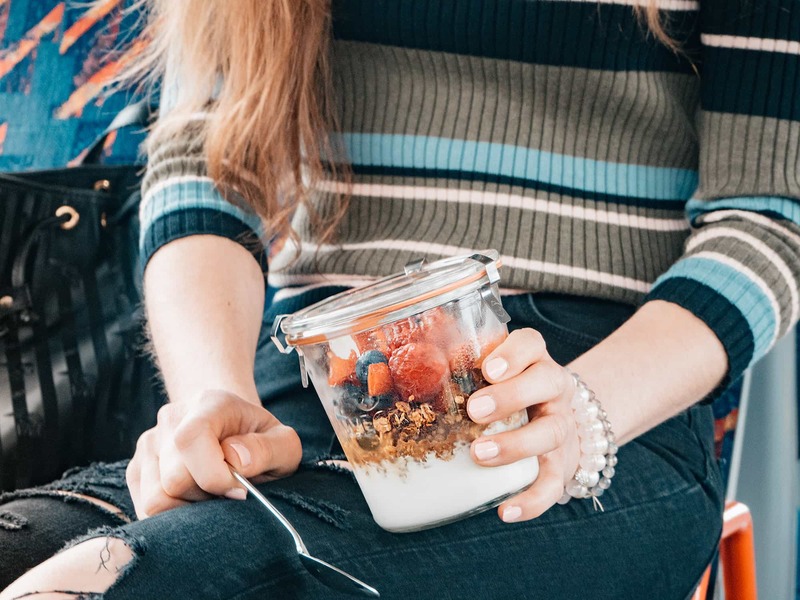 Das Müsli to go im Weckglas ist eine tolle Idee, die ich auch unbedingt mal ausprobieren muss. 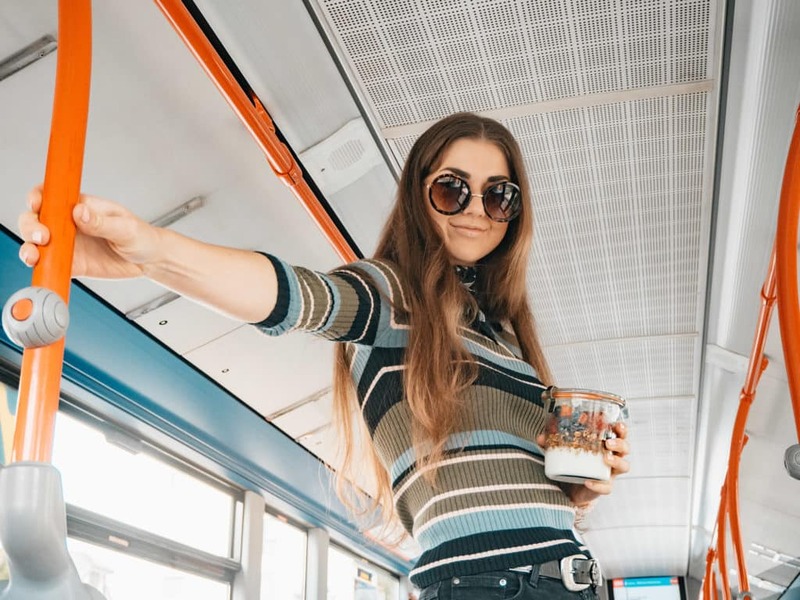 Die Bilder im Bus sind echt witzig und eine tolle sehr kreative Idee. I have to have a good breakfast every working week day otherwise I don’t have the energy to face the day. 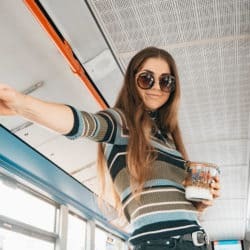 I love your blog location and outfit. 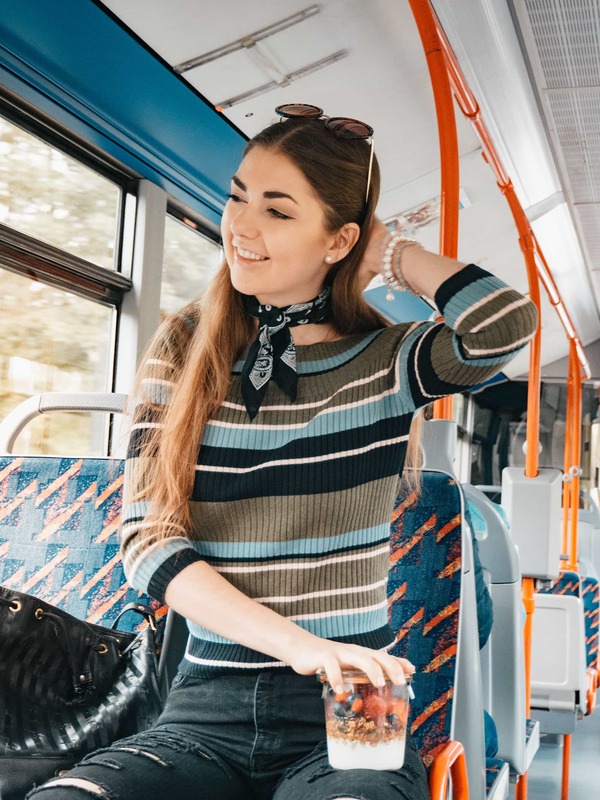 Love the bus – of course public transport is how everyone gets to work. But it also is hardly done for a blog shoot location! Love the idea of DIY muesli too. Makes it so much more healthy. Looks delicious and healthy! 🙂 Definitely a great meal to start the day. This is such a simple and healthy breakfast. I wish that I could do it more, I just need get a grip and do it! I personally would love to use fresh berries, but those are really pricey in Finland. Du siehst wunderbar aus ♥ Und wie lecker klingt das Müsli? Da bekommt man gleich Hunger! Thanks for sharing, will definitely try one of them. 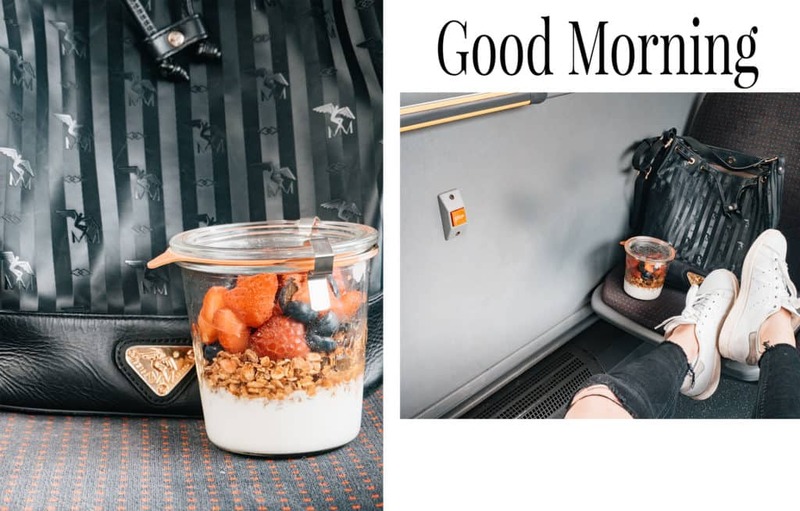 Breakfast is my favourite meal of the day, and I absolutely love granola with fresh fruit and yogurt, yumyum 🙂 Nice article and pictures! Oh vielen Dank Lisa, das freut mich sehr!